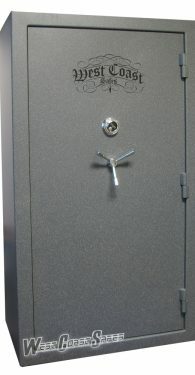 West Coast Safes has had the opportunity to see many entry level gun safes in the industry. 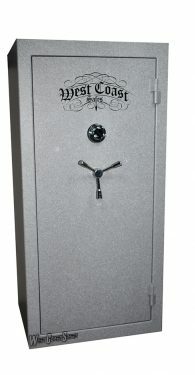 We chose the West Coast gun safes because they are above the other gun safes in their price point in every way. 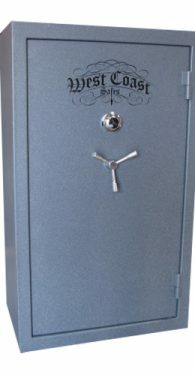 Our West Coast gun safes have 4 sided bolts, 45 minute fire certification, a reinforced laminated plate steel door, a door organizer for you hand guns and a reinforced door jamb. Most of these features don’t show up on the competitor’s gun safes until you go up several hundred dollars in price. The West Coast safes gun safe models come in 4 sizes, the West Coast 17, West Coast 22, West Coast 31 and the West Coast safes 45 gun safe. The West Coast 22, at its very affordable price point is our best selling gun safe at the entry line of the gun safe industry. 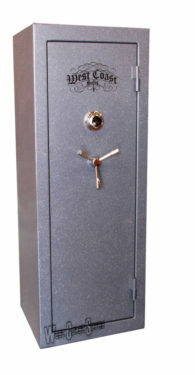 See the entire line of the West Coast gun safes in our Ontario, CA showroom.